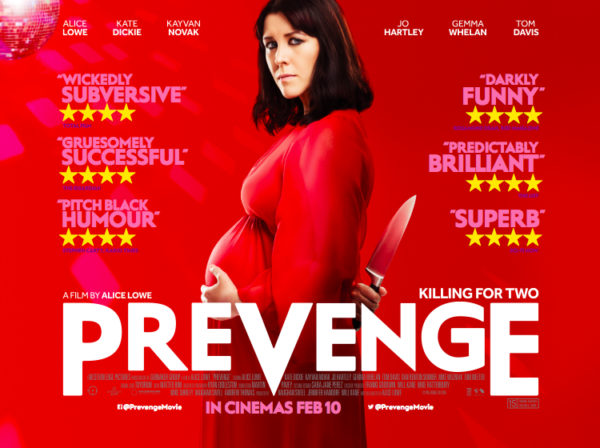 Alice Lowe writes, directs and stars as the pregnant Ruth, mourning the man who got her knocked up and hell bent on taking some revenge on the people she considers responsible for her lover’s death. While the baby girl inside her eggs her on by talking to Ruth and urging her to kill, Ruth must balance the ordinary challenges of pregnancy, while simultaneously ticking off names on her kill list and taking out anyone who gets in her way. Prevenge plays on every mother’s fears of bringing a baby into the world. While Lowe was really pregnant as she took on the lead role, she might have poured out her major concerns about the world around her, but she still maintains a wicked sense of humour. Prevenge is a slasher film with a pitch black sense of humour, finding the mirth in murder and undercutting expectations of what society expects of a pregnant woman at every opportunity. To read the whole review of Prevenge, please head to Starburst Magazine. More from the London Film Festival 2016.